Operation Stonehenge: What Lies Beneath Catch Up? Documentary. Part two of this mini-series focuses on the construction, design and significance of the stone circle itself and the ancient civilisation that flourished around it. 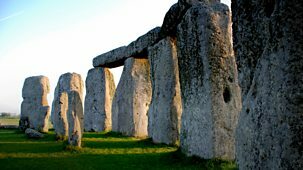 Documentary following a group of international archaeologists who believe that a new state-of-the-art approach is the key to unlocking Stonehenge's secrets.